There are no losers, only winners!! Our last blog covered the goal our MD, Mark West, has set, which is to have every Damage Doctor technician trained in First Aid and to hold SSSTS Certification among other things. 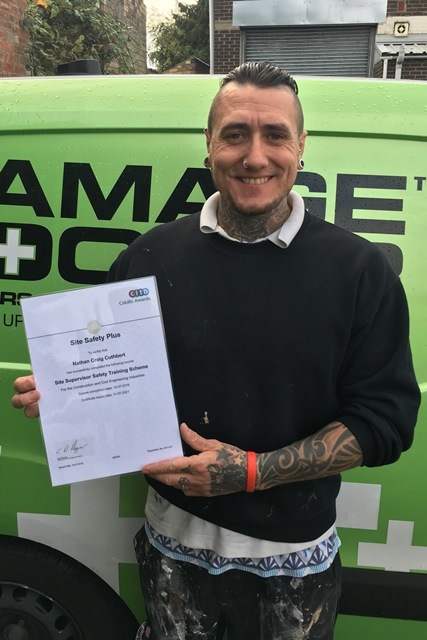 Well we are pleased to show off the latest batch of certificates being presented to our technicians and Mark would like to congratulate the following technicians on completing some of this training. 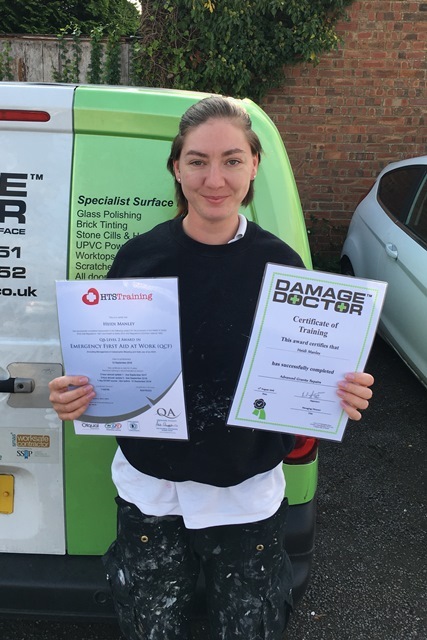 Well done to Heidi who collected her Damage Doctor Certificate of Training for Advanced Granite Repairs and for completing First Aid training. 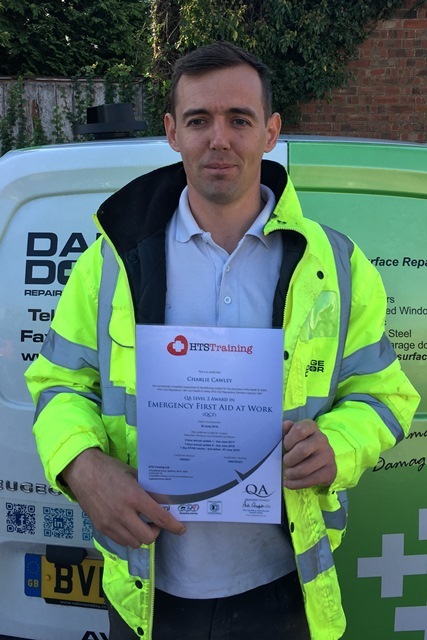 Well done to Adam who recently completed First Aid training. 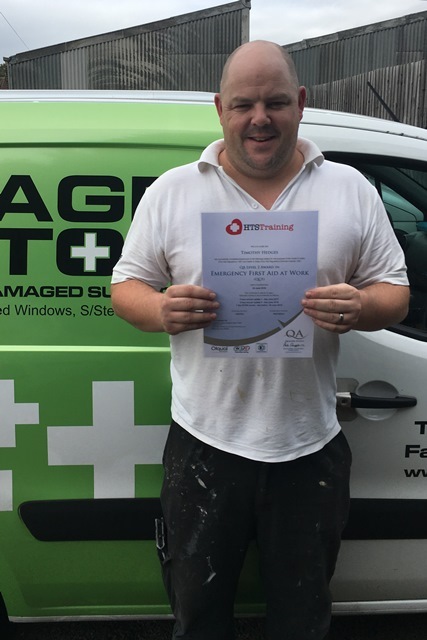 Well done to Tim who recently completed First Aid training. Well done to Charlie who recently completed First Aid training. 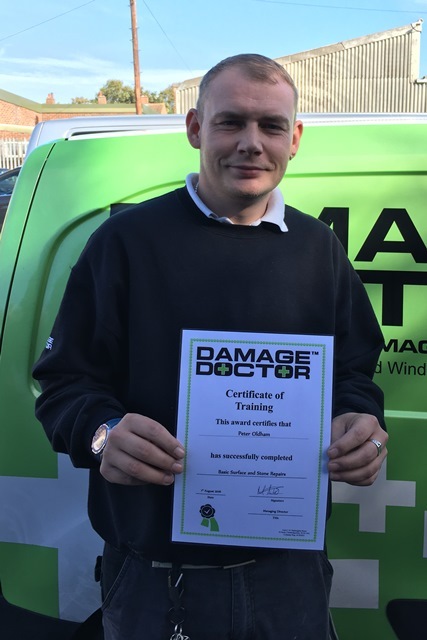 Well done to Peter who is collecting his Damage Doctor Certificate for Basic Surface and Stone Repairs. Well done to Conor who really has had a busy time! 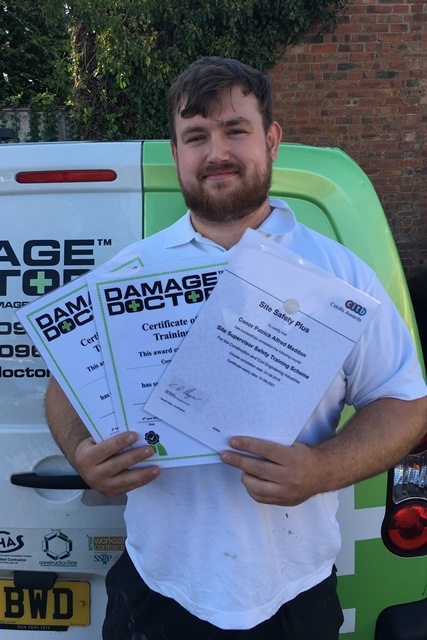 He collected (slightly overdue) Damage Doctor Certificates in Basic Surface and Stone Repairs and Advanced Render Coatings, as well as his SSSTS Certificate. Well done for passing the SSSTS course. 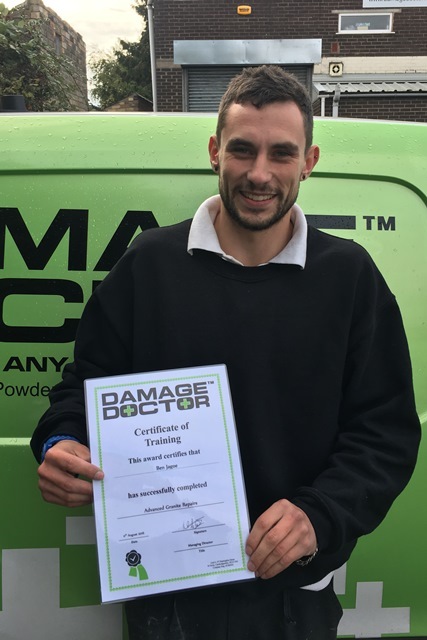 Well done to Ben who collects his Damage Doctor Certificate for Advanced Granite Repairs. You might recognise Nathan from our last blog. Well done Nathan for passing the SSSTS course and here he is collecting his certificate. 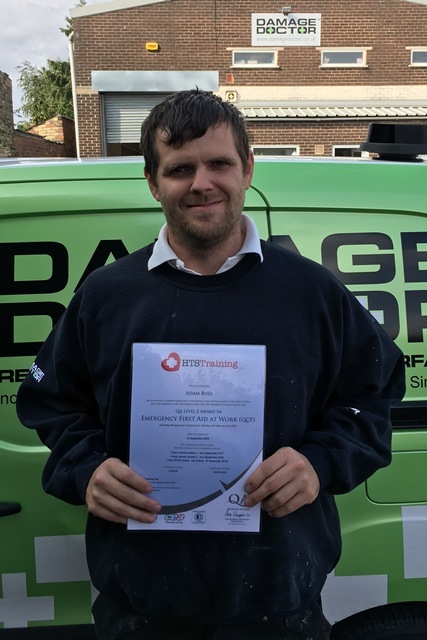 Mark is very proud of all the technicians passing the various internal and external training courses and says 'Our goal of having 100% of our technicians SSSTS Certified is progressing well with 60% of our technicians having now passed. We are on track to have everyone through the course by the end of Q2 2017'.